You work hard at creating your website – or the online version of your brick and mortar business – with a distinct brand and logo. You even heard that blogging can generate up to 67% more leads, so you start your own company blog. Soon, you see your traffic pick up, but sales are still low. Something is missing. It may be because you’re not capturing your visitors’ email address so you can contact and market to them in the future. What if you could eventually turn a portion of your visitors into actual customers? Email marketing can help you with this. You may think email is dead or even old-fashioned, but it’s not. Even though people get inundated with emails every day, and many people are annoyed by them, email marketing is still considered the best return on investment – up to a 4,300% ROI. It’s still the best way to build a responsive audience of customers or clients. With blogging, content marketing, social media marketing and email marketing, how do you know what to focus on? If you want an easy way to grow your business, then email marketing is your ticket. Having a mailing list enables you to direct the conversation about your business to a more personal level – the visitor’s in-box. And savvy marketers know that when people sign up to their list, it’s the best method of moving them from interested to definitely in the conversion conversation. But, there’s more to why you should focus on email marketing other than just because it’s relatively straightforward and highly optimized for conversions. While many people are annoyed by a full inbox of marketing messages, the majority of people – up to 95% of them – consider emails from brands to be useful. Generally, people sign up to a list because they want to stay informed about your business. Whether you have a seasonal discount for your products or are hosting a giveaway, subscribers want to stay in the loop. Other people sign up to a list to learn tips or hacks from a business. For example, internet entrepreneur and owner of the Traffic Generation Café, Anna Hoffman, regularly sends traffic building tips to her subscribers. People don’t buy from strangers. We’re often skeptical and need proof before we consider buying. Email allows you to warm up your leads, and that can increase sales by 20% over trying to sell to cold leads. Higher engagement means higher conversions. So, when you take the time to personalize your emails and build a strong relationship with your subscribers, you’ll have a better chance at conversions, giving a boost to your bottom line. Every online business should have a solid content marketing plan. This typically is the first step in the customer acquisition process. Visitors read or access your content, and from there choose to see what you have to offer before they decide – or not decide – to buy from you. Email integrates nicely with other marketing strategies. 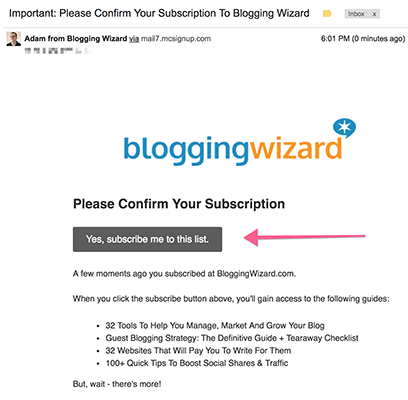 You can use email to notify your subscribers of your latest blog post, webinar training, giveaway or promotional deal. As you can see, there are a lot of benefits to having an email marketing strategy. But, if you don’t have one yet, how do you start? One of the first things to consider is what email provider to choose. Each provider offers similar features, but not all of them will be tailored to your specific needs. Let’s look over the most popular email marketing platforms. Mailerlite isn’t often thought of as the go-to email provider for small business owners but it should be. Here’s why: they have a free plan for lists with under 1,000 subscribers which has no feature limitations. That’s right, you can leverage their visual automation builder, opt-in forms, landing pages and all other features for free. Paid plans are considerably cheaper than competing providers and all accounts are vetted to ensure high deliverability. Overall, Mailerlite has a quick learning curve and is loaded with features for free, with an easy upgrade path once you break 1,000 subscribers. To really make an impact with your email marketing, ActiveCampaign can help you take your business to the next level in terms of subscriber growth with its advanced marketing automation functionality. It can support extremely in-depth funnels with its intelligent automation features. There is an easy flowchart-like view to help you structure your automations, and the complexity of your marketing funnels is really only limited by your imagination. It’s that powerful. ActiveCampaign enables you to tag your subscribers, and also segment them into different lists and groups. Unlike some tools, you only pay for each subscriber one time, no matter how many tags they have or lists they are on. Among other features, you can A/B split test your emails to optimize conversions. However, if you’re new to email marketing automation, ActiveCampaign has so many features that it can be a bit overwhelming, making the learning curve steeper than some other email service providers. While more expensive than Mailerlite, it’s something to consider if you project high list growth and need powerful automation capabilities. Drip is considered a lightweight – but still powerful – version of the heftier, more complicated email marketing automation providers out there. It includes one of the best flowchart-like visual workflow builders that enable you to craft complicated marketing automation campaigns. You can use “If, else” logic to branch subscribers off in another direction when they take a certain action, or finish an email mini-course. For example, it’s easy to set up a workflow to automatically move a new buyer from a lead-nurturing mini-course to a product-training mini-course. Drip also includes powerful tagging capabilities and can respond to events such as when a subscriber clicks a link, subscribes to a webinar, signs up for a trial, and more. It also has email broadcast functionality that can be used to send a one-off targeted email or newsletter to a segment – or your entire list – of subscribers. You’ll find a variety of standard email capture opt-in forms that can be easily customized without writing code, but a rather unique one is their live-chat inspired widget. You can place them on every page of your site to increase sign up rates. Drip is on the expensive side when compared to some of their counterparts, but it’s incredibly easy to use, requires little training, and is equipped with strong automation tools to power your funnels. 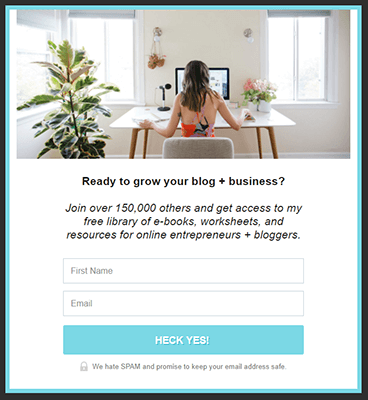 ConvertKit is a newer email service provider that’s geared towards professional bloggers and entrepreneurs. They make multiple lead magnets and content upgrades easy to set up and deliver – and they make it easy to put various email capture boxes on your site. A somewhat unique feature for an email service provider is that ConvertKit gives you a selection of landing page templates to choose from, making it a quick, easy and all-in-one solution for capturing leads. With ConvertKit’s user-friendly interface, someone new to email marketing may not find it as difficult to use as other email providers. However, because of its infancy, advanced power users may find certain areas of ConvertKit limiting – when compared to more featured-filled platforms like ActiveCampaign or Drip. The company is very responsive to user feedback, though, and the platform is constantly evolving. With that taken care of, the next thing to focus on is getting people to opt in to your list. 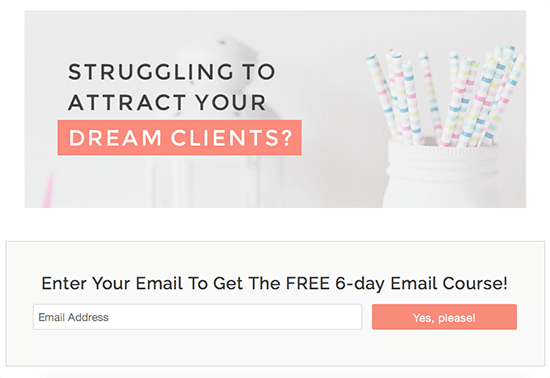 Once they land on your site, how do you get them to sign up to your email list? The first way is with a strong lead magnet and the second way is knowing where to display your sign-up form. Not many people will sign up to your list if all you have is a blurb saying to sign up! This doesn’t speak to your buyer persona and it won’t entice visitors to want to invest in your brand, since there’s nothing of value to be gained by signing up to your list. A better way to convert visitors into leads is to provide an incentive or offer upon signing up. This is referred to as a lead magnet. Having a strong lead magnet that’s specific and perceived as valuable to your audience can dramatically increase your subscriber rate. Melyssa doesn’t only offer a library of resources, but she also gives you access to a private Facebook group to connect with other like-minded individuals. Need help creating the perfect lead magnet and setting up the tech side of things? Check out Adam’s definitive guide to lead magnets. A content upgrade is similar to a lead magnet, except it is highly specific to a particular post and is found within the content of that post. When a visitor reads your post and then sees an offer related to what they are reading, they are much more likely to sign up to your list. You can have up to 30% opt-in rates when you use content upgrades. These work so well because the reader is already interested in the topic. If they are reading a post on 5 Different Ways to Maximize Your Productivity and then see a content upgrade offering a cheatsheet containing an additional 20 ways to increase your productivity – since they are already interested – the person will be more likely to sign up. Need more help with content upgrades? Check out my post on using content upgrades to explode your list, or Colin’s post about the tools & plugins you can use to deliver content upgrades. You have your incentive. Now you need to place your sign up form on your site. There’s no rule to how many sign up forms you can have on your site. So, placing your sign up form in these areas, having content upgrades in your post, and using pop-ups and exit intents will make a positive impact on your subscriber rate. One final thing to keep in mind when setting up your mailing list is whether it will be single or double opt-in (also called confirmed opt-in). Do you want your subscriber to confirm or not? With a single opt-in list, all a subscriber does is fill out your sign up form and clicks submit. They immediately receive their bonus and are now a subscriber. With a double opt-in list, a subscriber clicks submit and then has to wait for an email confirmation. Once they receive that email, they click on the link to confirm subscription – and then they are usually given instructions on how to receive the bonus. Once you click the confirmation button, you receive the goodies. It’s true that double opt-in decreases your conversion rate – up to a 30% less conversion rate. The more obstacles you place in front of a potential lead, the less likely they will follow through. However, a double opt-in list is more engaged. It typically has a higher CTR and open rate, and can have half as many unsubscribes as a single opt-in list. So, sending the confirmation email helps increase quality, meaning a higher chance of generating sales over time. 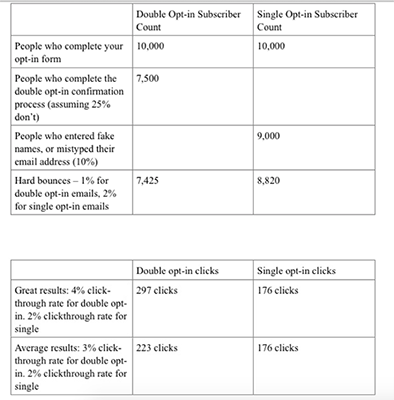 Opinions on single vs. double opt-in vary, but in many cases, a single opt-in list really only has the benefit of a higher conversion rate of people opting into the list. Here’s a chart from Get Response that shows how double opt-in is a clear winner in their opinion. In 2018 a new law known as the GDPR will come into play in Europe that will affect anyone that sells to EU citizens. It’s focus is on ensuring customers have more control over their personal data. We’re not 100% sure on the impact this will have over email marketing, but it’s looking like double opt-in will be helpful. If you haven’t researched into this yet, it’s well worth doing so. For any business online, having a list is integral to their overall success. By building a loyal and engaged following, you can be sure to have high conversions and repeat business. Starting an email list isn’t hard either. By finding the right email provider and creating a strong lead magnet, the only thing left is optimizing your site for sign ups and deciding whether you want a single or double opt-in. Once you have your sign up form on your site, the next hurdle is the actual email. What types of emails do you send? What do you say? In chapter two, we will discuss how to create an effective email campaign. 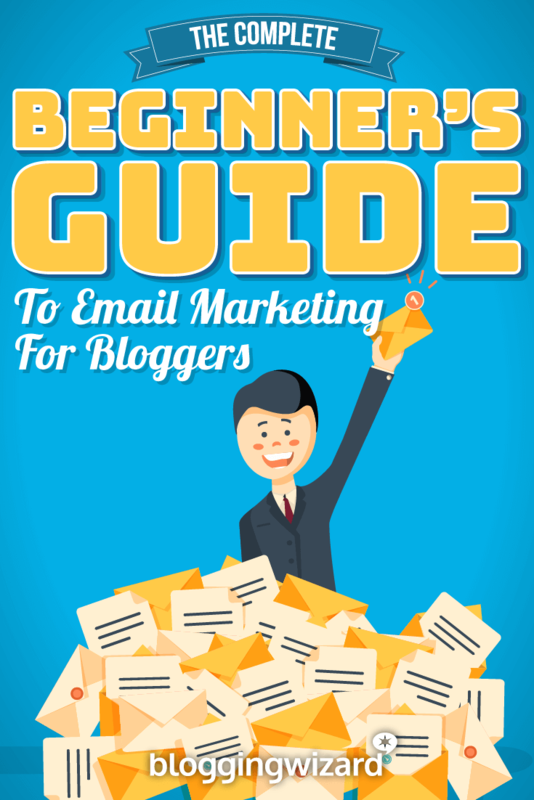 In Chapter 1 of this Beginner’s Guide to Email Marketing, we covered how to set up your email campaign. From choosing the best email provider to crafting an irresistible lead magnet to deciding whether to have a single or double opt-in, as a small business owner, this is only the beginning. Now the tough part comes into play. How do you write an effective email campaign? Should it be automated? And probably the most important part: how do you generate a high open rate or CTR? Yes, email marketing needs some serious attention. For 89% of marketers email is the primary source for lead generation. What’s even more surprising is, up to 61% of consumers enjoy weekly promotional emails and 28% of them want more. Email is not dead. In fact, it’s a highly effective marketing channel you should be adopting for your marketing strategy. In this part, we will go over how to create and design an email campaign that your subscribers will enjoy and act upon, and we will also discuss ways to increase your open rate and CTR. You have subscribers. Now, it’s time to craft an email that people want to open, read and click on through to your website. And it all starts with your subject line. The first thing your email subscriber sees in their inbox is your email subject line. This is the point where they decide whether to open your email or send it to the trash and move on. There are several ways to craft open-worthy email subject lines. Let’s look at three ways. While up to 94% of businesses say personalization is vital to their overall success, only 5% are actually incorporating any personalization into their emails. An easy way to add a personal touch to your email is with your subject line. Most email providers allow you to insert a subscriber’s name into your subject line by using personalization tags. For example, in Mailerlite, you use a merge tag in your subject line or in the body of your message to personalize it. This makes your message highly customized and personal. What’s great is that according to Aberdeen, doing this can improve your click-through rates by 14% and conversions by 10%. There’s a growing trend of subscribers using mobile devices to open and read emails. As many as 53% of subscribers choose to use their smartphones or tablets to read emails rather than using a desktop or laptop. This trend is not stopping so to account for this growing population of mobile users, make sure your email subject lines are 50 characters or less. This is the amount of text you can see on an average 4-inch smartphone display. For even better open rates – up to 58% better – try creating email subject lines with 10 or fewer characters. While you can’t do this with every campaign you send out, with your time-sensitive deals, or sign-up campaigns, you can increase your open rate by placing a sense of urgency in your email subject line. Melyssa Griffin does this for subscribers that haven’t opted into her webinar classes. Using these three simple tips for your email subject lines can help you with achieving high open rates and creating loyal fans. We’ve touched on personalization when using email subject lines. Next, you want to be personal in your campaigns. Most people who subscribe to your list want to know more about you and your brand. Sending them pitch after pitch won’t help with retention and might only annoy your subscribers. Since people are curious by nature, telling a personal story about how you got started or the behind-the-scenes of your business will help form a connection with your list and build loyalty amongst your subscribers. Being personal also helps with increasing your click-through rates if subscribers expect a level of personalization whenever they see your email in their inbox. And over time this creates trust. Your subscribers will know that you aren’t just sending marketing emails, but that you are opening up your business and sharing personal information. For example, Mariah Coz of Femtrepreneur often is personal in her emails. She goes out of her way to tell stories and connect with the thousands of subscribers she has. She does this as a way to humanize herself and make her much more relatable to her subscribers. If you still think storytelling isn’t an effective strategy, The Daily Egg interviewed internet marketer and coach Terry Dean after he made $96,250 in sales from one email. His reason for the successful email campaign? Storytelling. If you can connect a feeling or emotion to your product with a story, you’ll have a better chance at conversions than with any other marketing strategy. Since your goal is for people to click your email subject line and actually read your email, the best thing you can do is make it easy for them to read it. Emails with big blocks of text or a small font make it difficult for the subscriber to really get into it and actually read it. This makes it hard for your subscriber to read your email and get anything out of it. But, if you include a lot of white space by making shorter sentences and enlarging your font, you’ll have a better chance that people will read what you have to say. 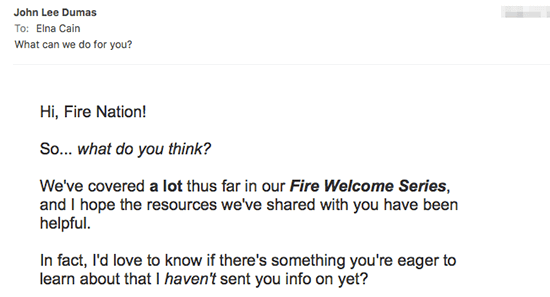 John Lee Dumas of Entrepreneurs on Fire sends emails that are non-branded, easy to read, and highly engaging. Some studies show that for the easiest reading, use 16-point size. Now, that we covered the basics of how to write an email campaign, let’s look at why creating an automated email series is a good option for your business. You have meetings to attend, content marketing to focus on, and sales funnels to create. As a small business owner, you don’t want to be bogged down by having to send out emails by hand. 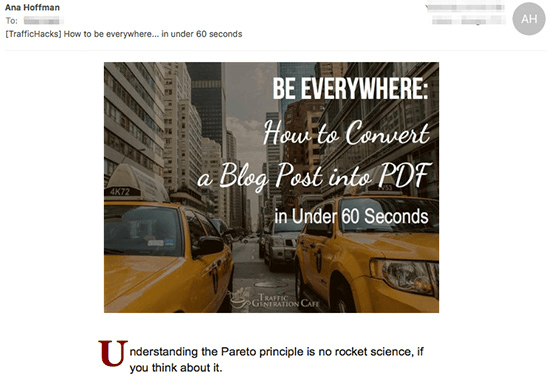 Why not automate your email marketing? Sending out a drip email campaign makes it so your subscribers don’t forget about you, while at the same time letting them get to know you and what more you have to offer. John Lee Dumas of Entrepreneurs on Fire does a great job of sending out a welcome series, giving his new subscribers tips and strategies to help them with their online business. In an automated series, content is evergreen and what you write today can apply to your subscribers months later. If you have a product, you can create an email mentioning your product and any deals that are happening. Since new subscribers may not know about older products or aren’t that familiar with you or your business, you can create a campaign highlighting what you have to offer. For example, Melyssa Griffin has a Pinterest course out and created an email talking about Pinterest’s Algorithm change in February 2016. She was able to tie this recent event to her course. Many bloggers and entrepreneurs are taking advantage of using eCourses for their lead magnet. For example, website designer Nesha Woolery has a free six-day brand discovery course that she uses to entice quality leads for her business. You start her course by entering your email address and throughout the six-day course she pitches her services. If you want to educate your subscribers, have them get to know you and your business better, or create a drip campaign for higher conversions, having a series of time-released and automated emails will help you do this. With your business online, it’s vital to attract and retain leads. Email marketing is your ticket to new customers and to building a loyal following. Knowing how to write effective subject lines and emails is what will help you increase your open rate and click-through rate, which is ultimately what any business wants – an engaged list. You now know how to get your email marketing system setup and how to deliver your first email marketing campaign. Now it’s time to put into practice what you’ve learned above so you can grow your email list and get more customers.